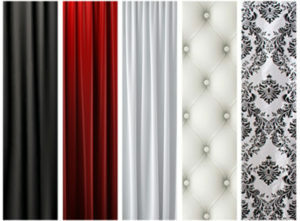 Choose one of our stock backdrops at no additional charge. 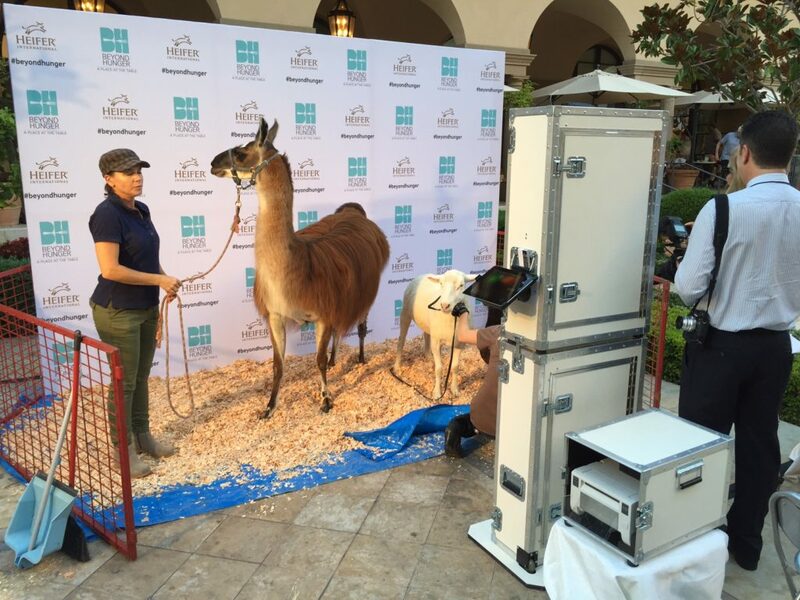 Custom Step & Repeat backdrops can be designed and printed at an additional cost. 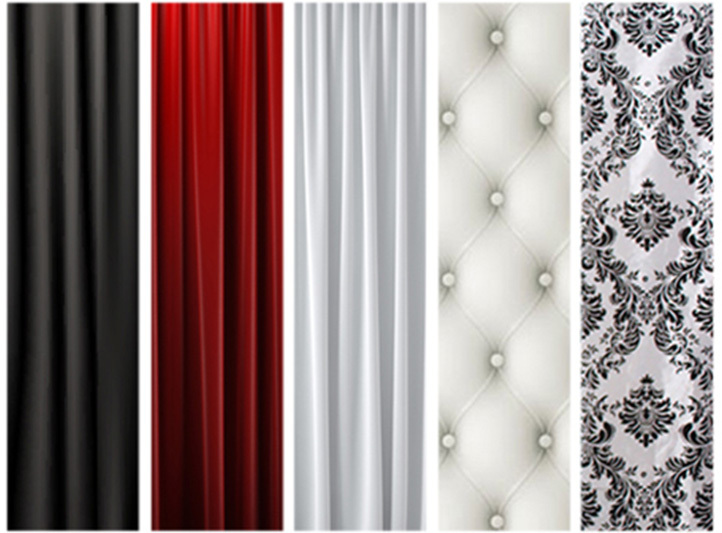 Our stock backdrops include a white, red, black, white tufted, and a black and white vintage damask pattern. 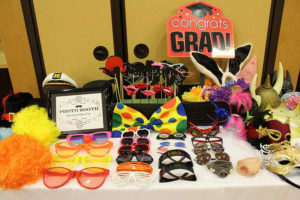 And remember, we customize the prints for every event as well! 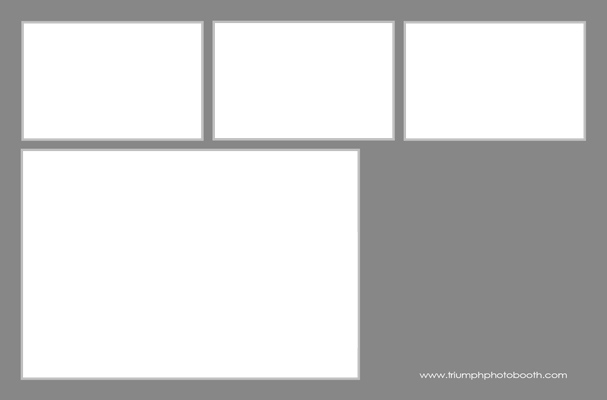 We have several picture layouts that work perfect for every event. The 2x6 Prints are included in every package. The 4x6's and 5x7's are an additional cost. 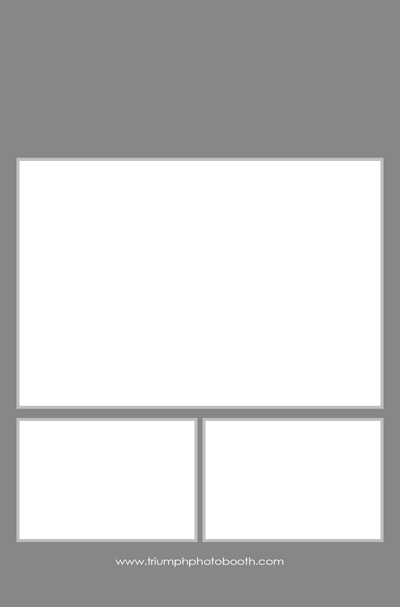 Or, we can design a custom picture layout just for your needs! Anything you want. 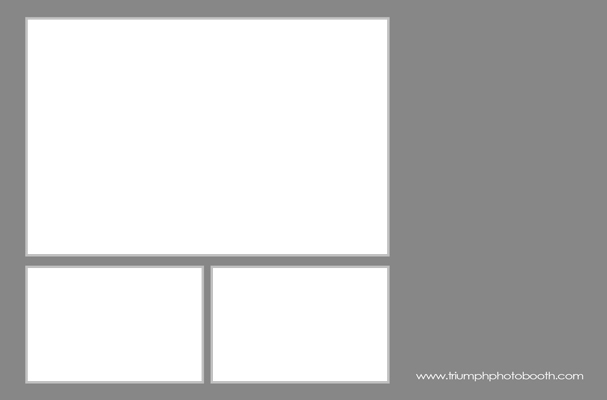 We can angle, overlap, or add as many picture frames as you need. 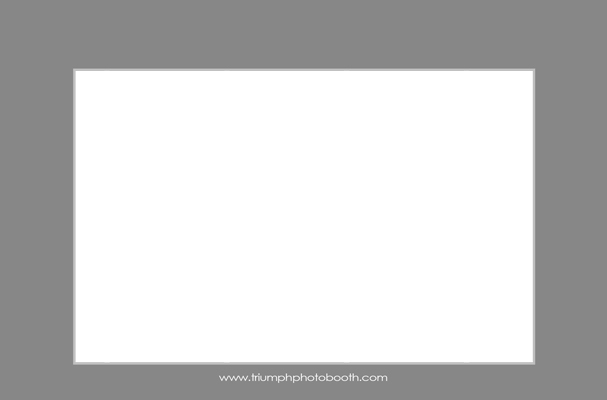 And remember, we customize the design on the prints for every event so they will look AMAZING! 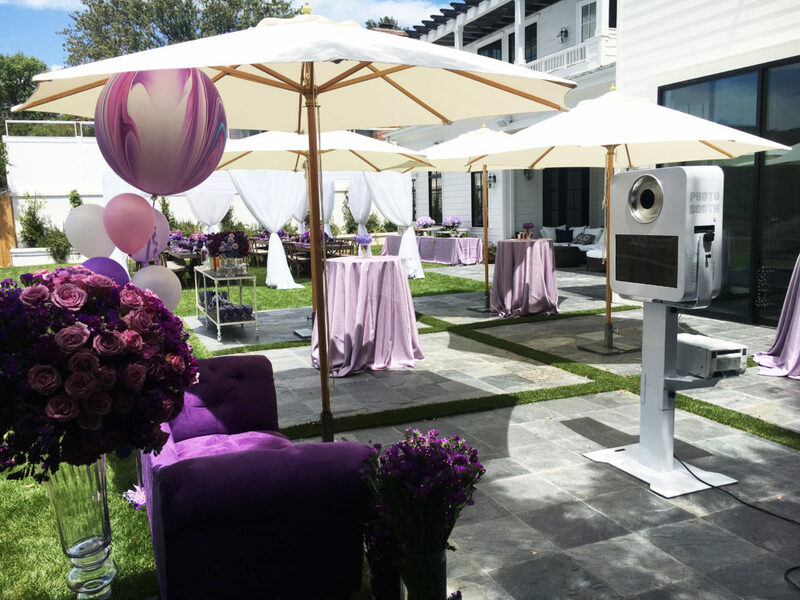 Check out past designs on our Event Gallery. 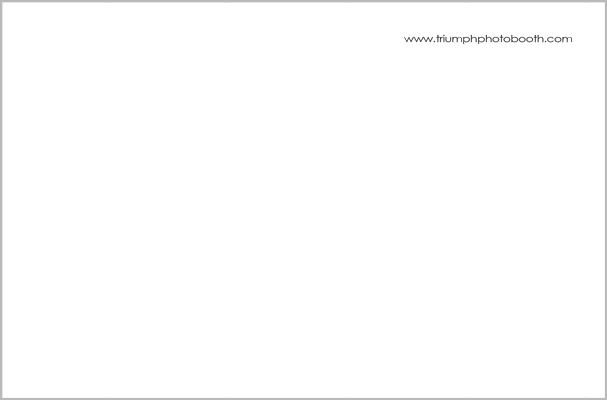 Click on the images here for a larger view. Animated GIFs & Boomerang's are the best! We take several shots at a time and an animation is created. 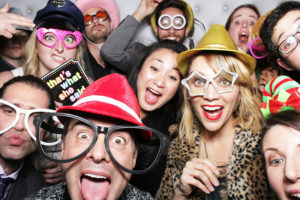 Tons of laughs with this great addition to any photo booth experience. 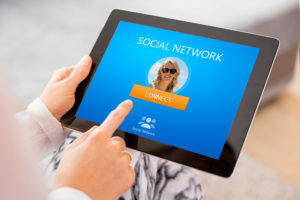 A must have for social media posts! 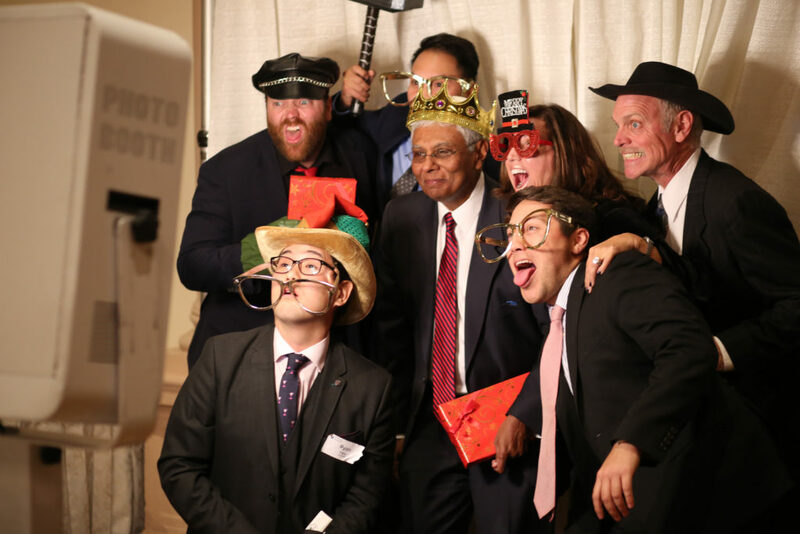 Stay connected instantly from our photo booth! 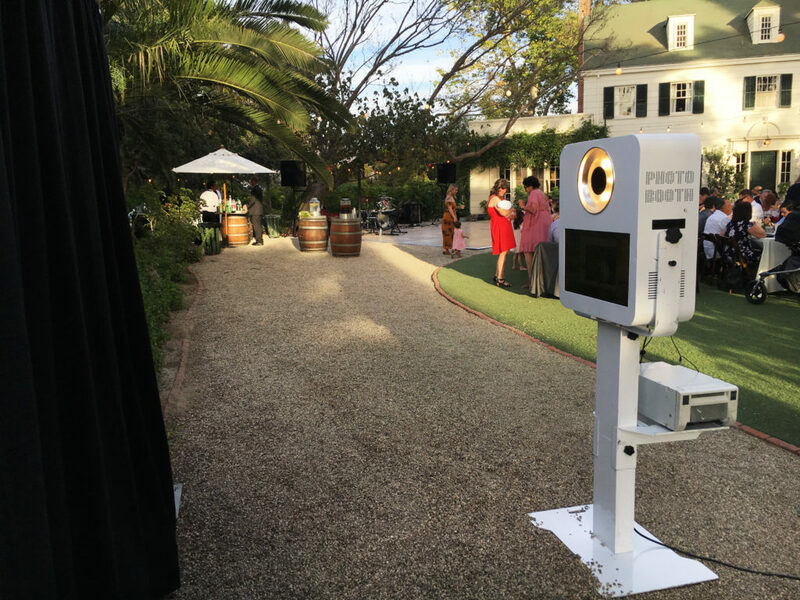 You can upload your favorite photos from the Social Media Upload Station instantly to your Email, Text, Facebook, Twitter. & Instagram. Voila! 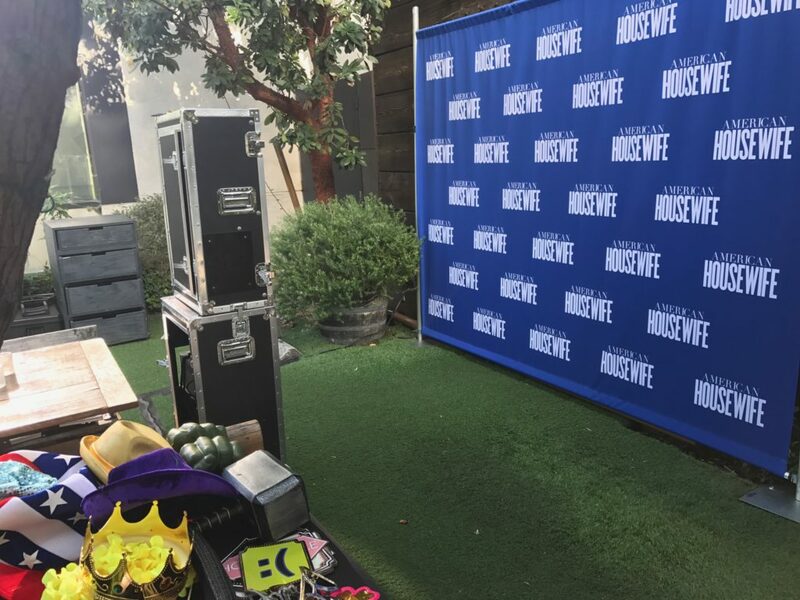 We've got you covered with tons of fun props! We have an assortment of super fun hats, oversized glasses, funny signs, wedding signs, lips & mustaches on sticks, masks, Hulk Fists, Thor Hammer, a crown, tiara’s, and more! 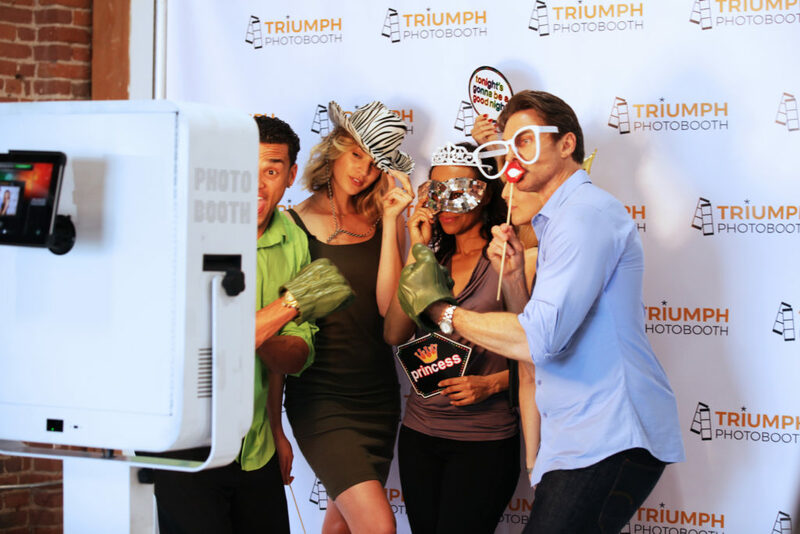 Triumph Photobooth’s open air concept design is incredibly fun and entertaining since it allows your guests to watch and interact with one another as well as be more creative by trying different props before each shot is taken. 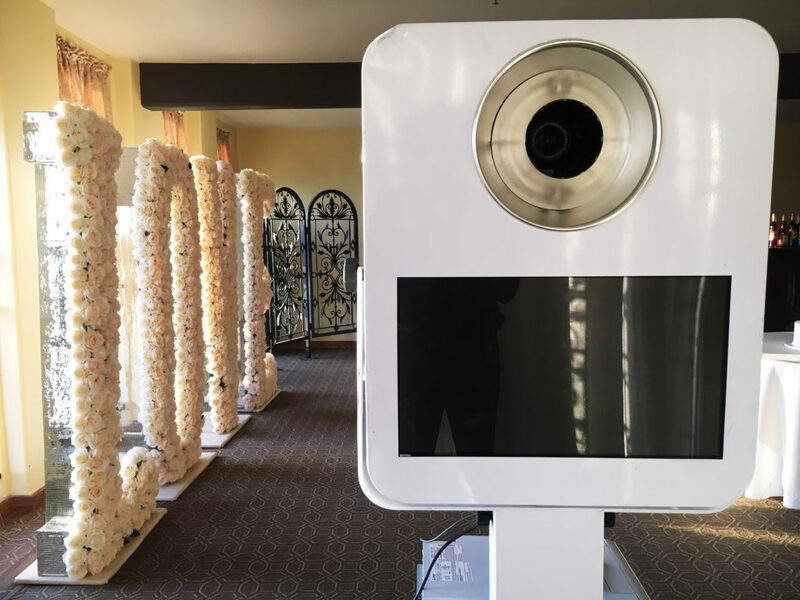 The open air concept accommodates larger groups like bridesmaids, groomsmen, co-workers, friends, teens, classmates, families with kids…etc. We can fit 10-15 people in 1 shot! 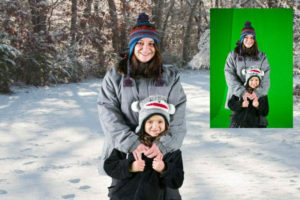 Take your guests anywhere in the world with green screen photography. You can literally have any background you can dream up! 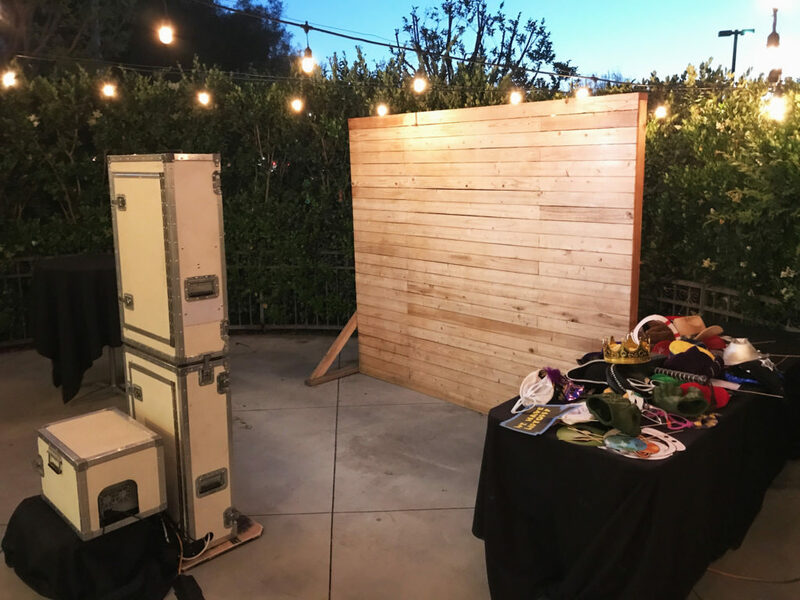 With our green screen technology your guests images can be seamlessly placed into absolutely any background or replicated magazine or book cover. The possibilities are endless! Prefer an enclosed booth? No problem! 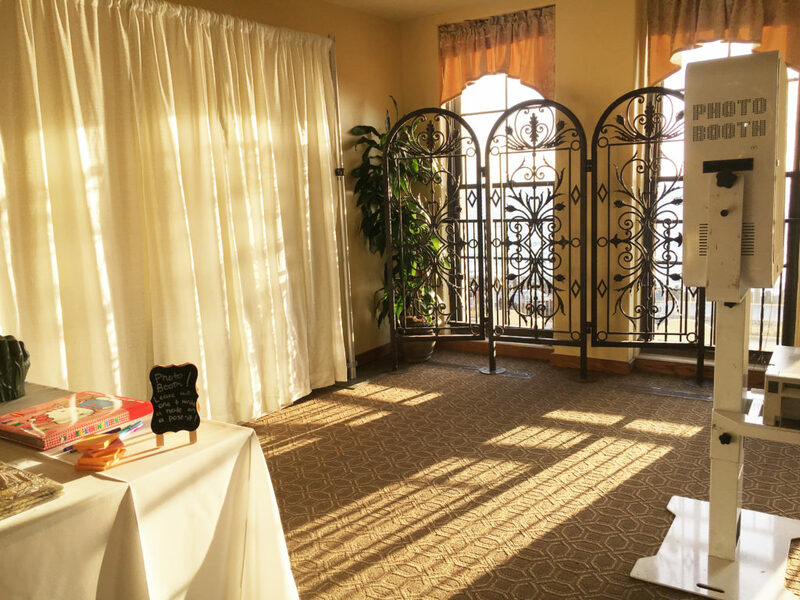 We can set up an enclosed booth with ease! 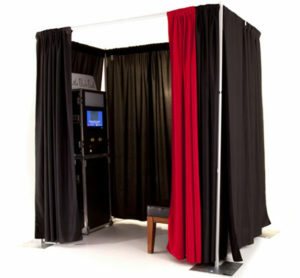 Our professional quality pipe and drape system gives you the privacy of an enclosed booth. We can make it any size. 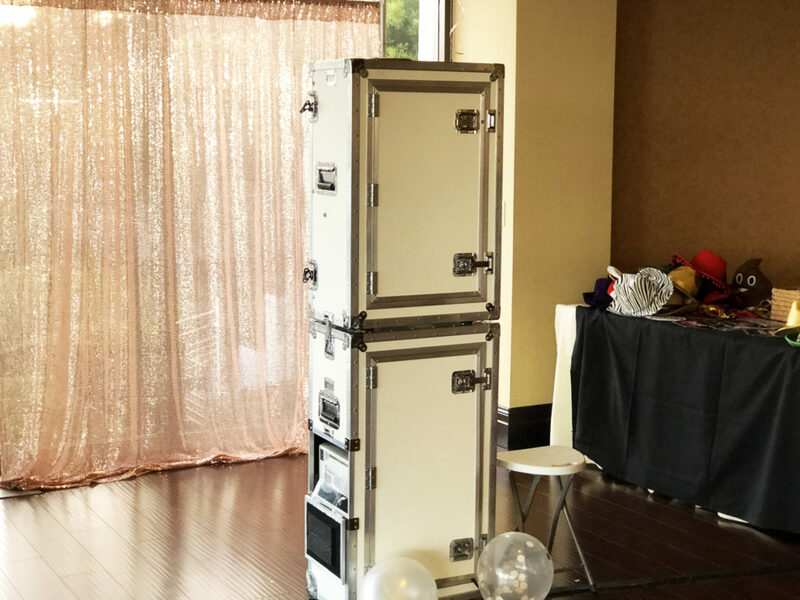 Have an intimate 2 person booth or GO BIG and have one that fits 10-15 people!